A thank you message is sent to express gratitude to a person who may have extended any sort of help or have been there when one needs that person the most. Thank you messages can be sent through text messages. 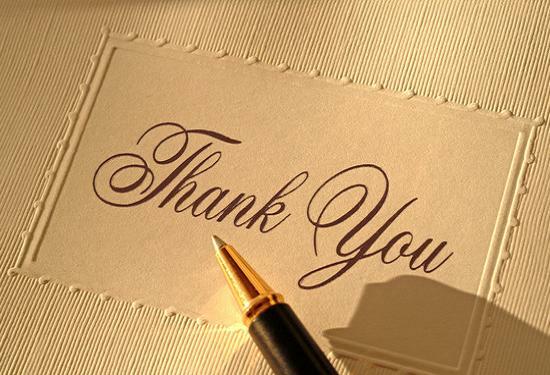 A thank you message lets the person know that he is caring and is of concern to the sender. If you need Thank You SMS then you need to stop your search here. Here on our site you will find the best of thank you text messages. Read our latest new collection of sms to say Thank You. Do you want to say thanks and looking for thank you message example. In sincere appreciation of your valuable help, Please accept my respect and gratitude. I say a Big Thank you. Thank you friend for being there when you help was needed the most. I appreciate your help and you will find me with all the help whenever you need me. You are indeed a gem of a friend. Thank you all for helping us in making this event a better one and a successful one. It would not have been possible to even start without your help and support. Thanking you all friends and family for sending me lovely wishes on my birthday. It really means lot to me and makes me feel more special. Thank you teacher, for being my guiding star, helping me with my studies and also guiding me through the right path in life. You have been much special and a good teacher whom I can always look up to. Thanks a lot for the special gift you have brought for me. I feel extremely grateful and special for the beautiful gift you bestowed upon me. Thank you for purchasing the beautiful item and extending helping hand in contributing to donate the purchase amount to the needy. Your kind act is much appreciated and I extend my heartfelt thanking wishes to you. Thank you for making it to the wedding. I was indeed looking forward to your visit. You presence is highly regarded and appreciated and I feel more special with you being beside me. Thank you a lot dear boss for the promotion. I highly appreciate it from the deepest of my heart and thank you with all my regards. You have been an example of excellence in work. Thanking you all for being there at the funeral and showing your respect and love for my father. I am deeply humbled and grateful for your presence in the funeral and the support you provided us in this hard time. May God give you the best things that you deserve because you have touched our lives so meaningfully. Thank you!